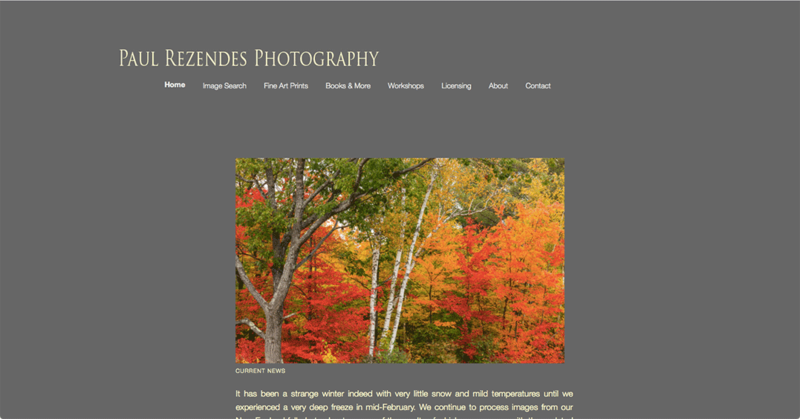 Robin Brooks's websites have clear and simple organization and navigation. Her recent sites work brilliantly across any device, and they are designed with search engine optimization in mind. ​To explore, click on a site from the sampling below. If you like what you see, set up a "meeting." Let Robin listen and offer her perspective on the larger picture. Then, with your input, she will create a site that speaks clearly for who you are and what you do. If you like, she can also train you to easily maintain it. What a lovely collaboration: designer and teacher, and the real pleasure of giving a client the freedom to express. Robin and Susannah Crolius of ﻿Art and Soul﻿ went back and forth. An old website was recreated so it was functional and reflected Susannah's important work. She played with it. Robin fine-tuned. ​Now Susannah just does as she originally wished. She flies completely on her own (with an occasional question answered). ​​This is a more complex site that Robin designed for her book design work. Works across all devices. Click on image to access. 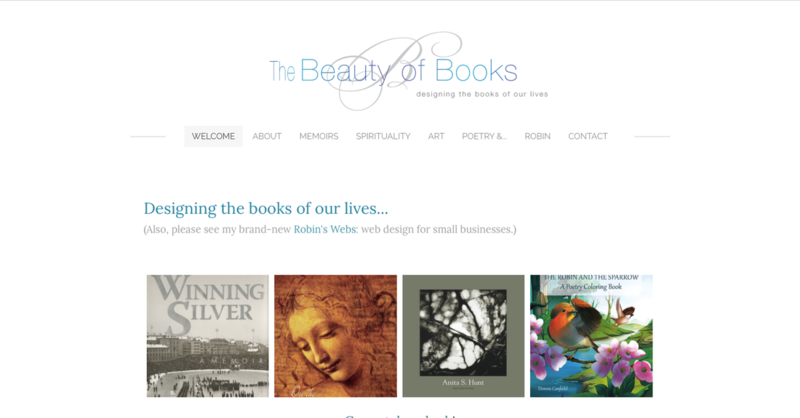 (A writer said of this site: "Robin's website is lovely. You should just go there to rest a while! Oh, what a relief it is." 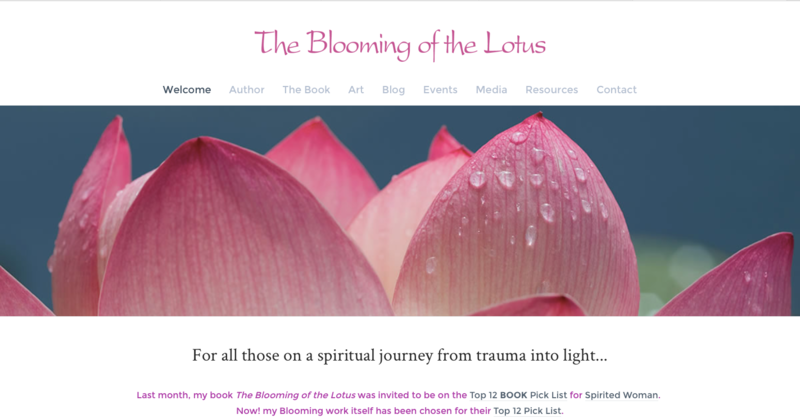 This is another more complex site that Robin designed for her healing work with survivors. Works across all devices. Click on image to access. ​This simple site, also for Robin's sister, is for the spiritual and now fantasy books she writes (Love Incarnate Books). She wanted a similar feel for both sites. ​Works across all devices. You can also click on image to access. ​Robin designed this site, but it is currently maintained in-house. It may load a bit slowly because of the hi-res photographer slideshow. This is slow on purpose as the client wished for viewers to be able to truly spend time with his images. Click on image to access. This is a website Robin designed back in 2007. 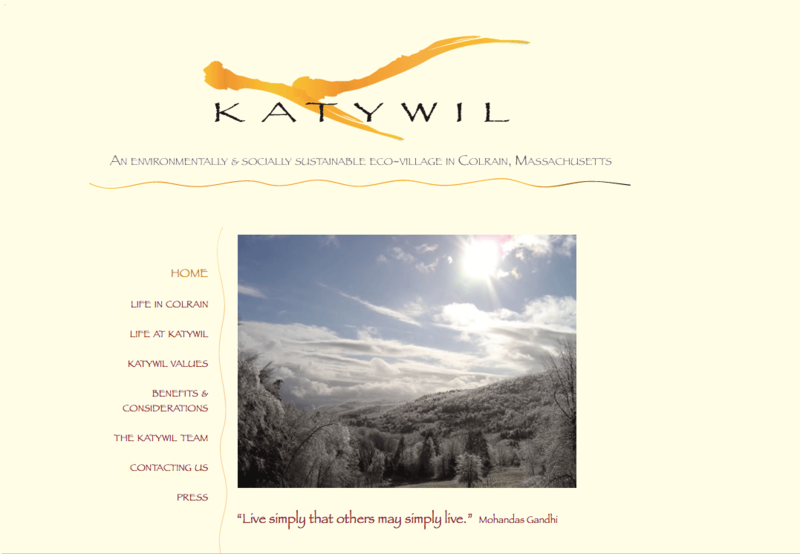 Much has happened at Katywil in the meantime, so it can no longer be viewed live. However, if you click here, you will see various still pages from it. This is the site that received the stunning testimonial at the top of the page. ​To enlarge the image, just click on it.